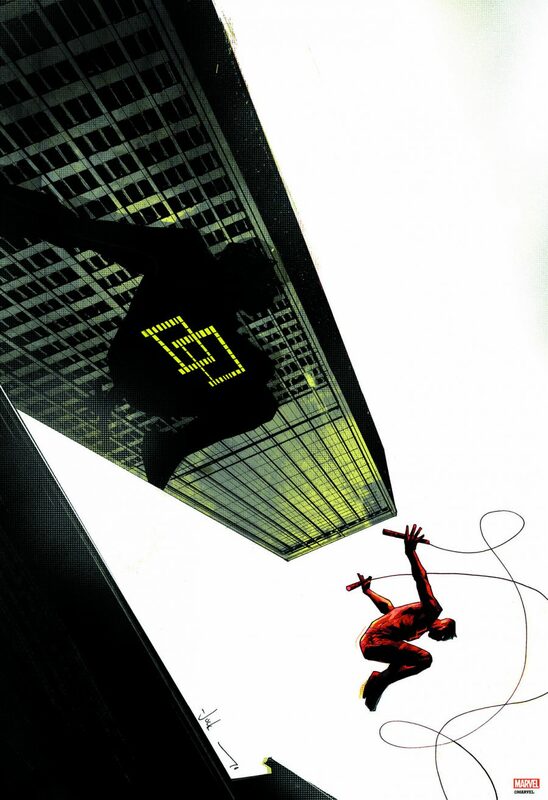 Grey Matter Art under license from Marvel Knights Presents is proud to announce a New Officially Licensed, Limited Edition Giclee for the iconic Netflix Series, “Daredevil.” This is the first project Grey Matter Art has released under Marvel Knights Presents, and has chosen to work with the artist, Marko Manev to bring you an amazing representation for this new series. 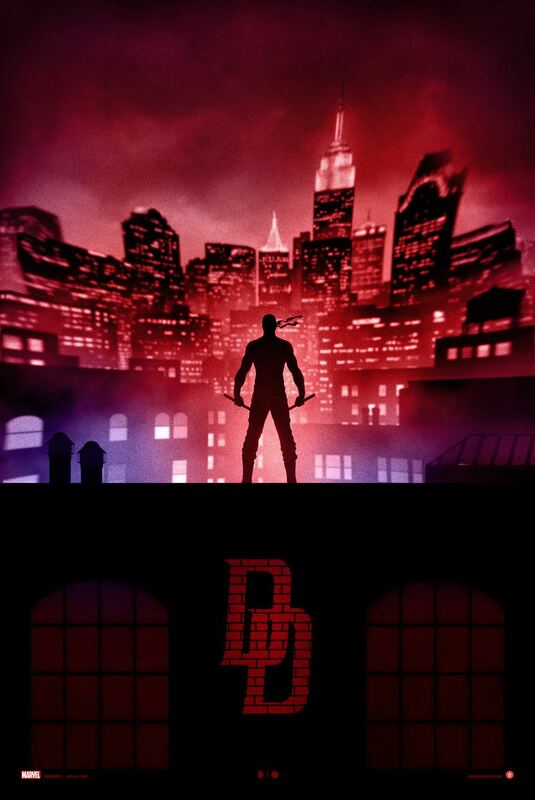 Below are details regarding the poster and release date. On sale Wednesday, August 12th at a random time between 1-2pm Eastern (10am-11am PDT) HERE. 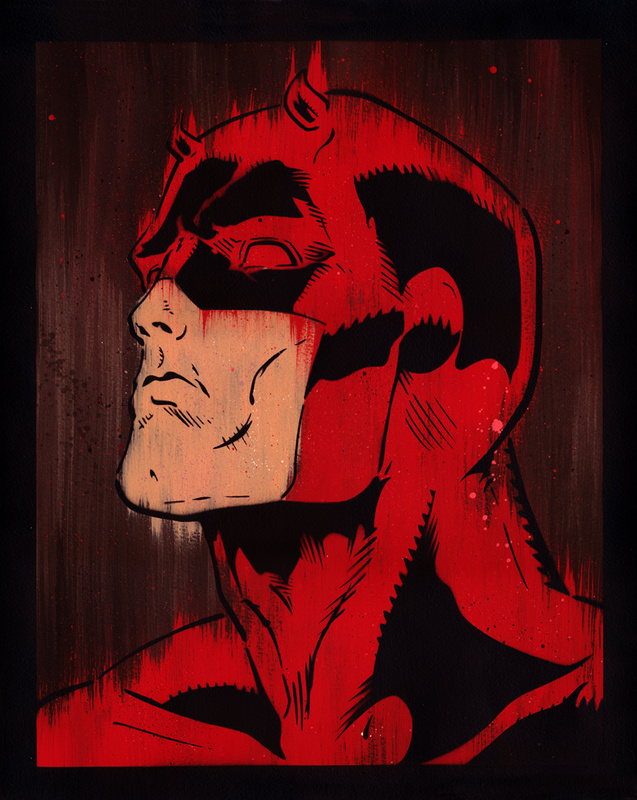 Michael Latimer has a new print available titled, “Daredevil”. It is a 16″ x 20″ Acrylic & spraypaint on watercolour paper, signed/numbered edition of 20, and cost £55 ($84US) shipped worldwide. On sale now HERE.